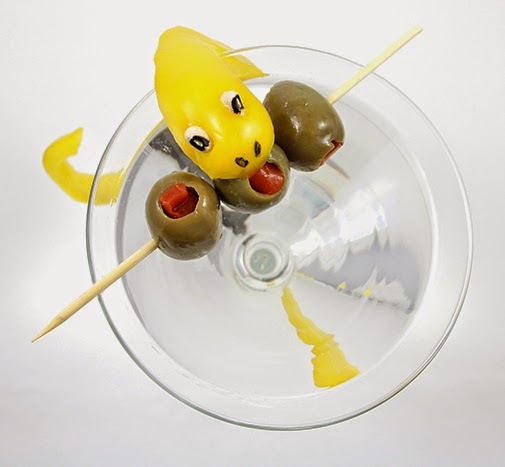 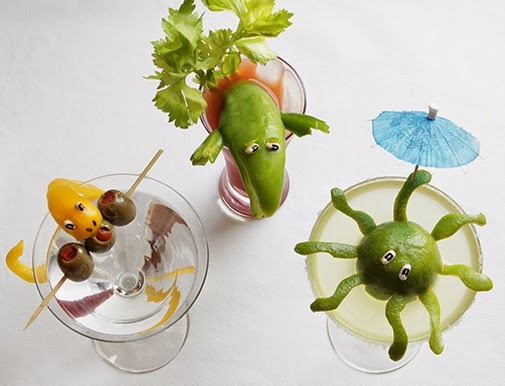 Serve up some cocktail garnishes that are guaranteed to put the "happy" in your next happy hour. 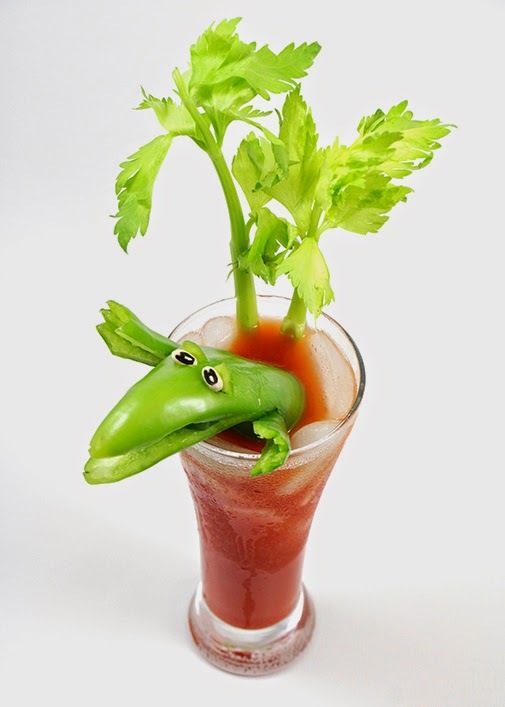 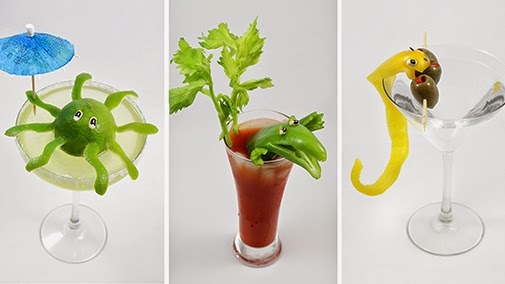 Create a margarita octopus, a bloody mary crocodile, and a martini snake with just a few fruits and vegetables. 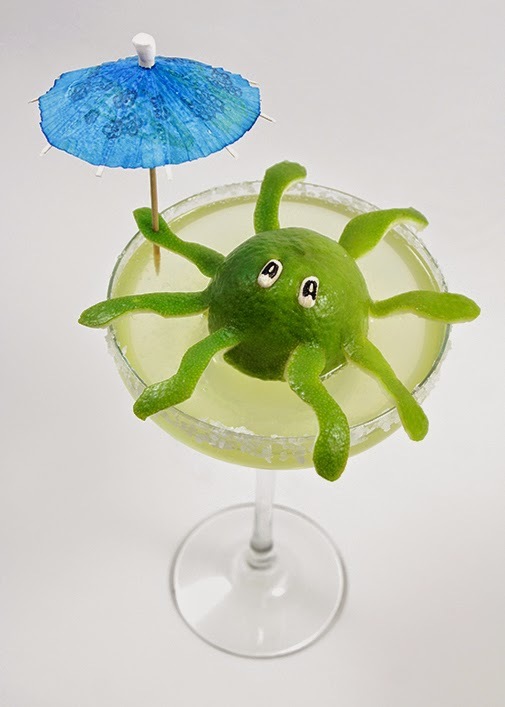 My step-by-step (and sip-by-sip) instructions can be found on SheKnows.